Waterproof hiking boots: This was a heavy investment, but it was well worth it because I wore them pretty much every waking second of the trip and they’re still in amazing condition. Here’s the ones I got! They are extremely comfortable – never had to be “broken in” – and I found them actually be waterproof. The waterproof clothes in action! It was misting here. You can see that I’m only wearing one waterproof (black) glove and my regular glove on the other hand so I could take pictures lol. Waterproof gloves: Let me tell you this right now: there is nothing worse than having wet hands in Iceland. It’s cold. It’s windy. It’s constantly misting or raining.These are a must have, and they definitely should be waterproof. When I was in REI shopping around, a lot of the gloves were $50+. I couldn’t bring myself to purchase them, mostly because I wouldn’t be using them much outside of this trip. However, my roommate already had a pair and I just borrowed from her! Normal gloves: It isn’t always going to be pouring rain, and I actually used my regular gloves pretty often. The waterproof ones can be so bulky and are usually not tech-capable for all of the photos you’ll be snapping. Warm socks: I borrowed some SmartWool socks from my roommate (warm but not bulky), and variety of other socks I already had. Admittedly, I wore at least 2 pairs of socks at a time so packing a ton of socks was definitely a necessity for me! A good beanie: I borrowed one from a friend (because Arizona) and I only took it off for some pictures and to shower. Other than that, you could find it glued to my head! Regular ol’ long sleeve shirts: I last picked up 5 different color long sleeve shirts (in addition to what I already had, 1 for each day) from Walmart probably the day before I left. I’m so glad I did. I just wore them as a base layer under my sweaters and jackets – pretty much only took them off when I was in the shower. Other warm compact jackets: I think a microfleece jacket or a nano puff jacket would have been awesome additions to my suitcase as they’re warm and compact. I had other jackets available to me, though! Grab what you’ve got! Sleeping bag liner: this was more than essential for me; I think I would have died without it (I get cold easily). I just borrowed one from my roommate but it’s definitely an investment I would be willing to make for future camping trips. Microfiber quick-dry towel: When camping, backpacking, or traveling in general, my microfiber towel is always one of the first things in my bag. I have the full sized towel and a washcloth. They’re light, compact, super absorbent, and dry crazy fast. 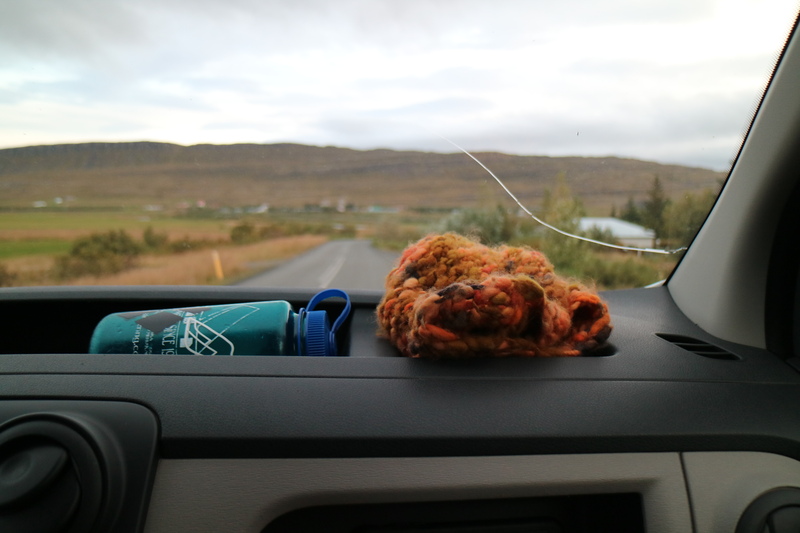 We would hang them over the curtain in our van for them to dry overnight or on the dash while we drove. Easily the best investment I’ve ever made! I know I’ll be using this towel for years. External charger: You can definitely bring a car charger (to put in the cigarette lighter) to charge up phones and cameras, but our van took forever to charge anything. Daniel has an awesome heavy duty external charger that we use all the time. We got several full charges off of it and it lasted almost the entire trip! Another life saver was renting an electricity port from our van company that charged everything much faster than just the car itself. Rain guard for your camera: (basically a poncho for your camera) this is something that I considered buying, but never did and severely regretted. This is the one I had in my amazon cart but never followed through (silly me!!!!) It would have been really helpful because there are so many beautiful moments to photograph, but letting your camera out and about in the elements isn’t the smartest. I’m surprised mine is still okay with how wet it got sometimes. A Go Pro: We do not own a GoPro, but if we did, it would have been amazing on this trip for obvious reasons. There were so many times where we were in the rain and wanted to capture a photo, ie. kayaking through glaciers and seeing so many wonderful things but also being aware that the camera can only handle so much water. 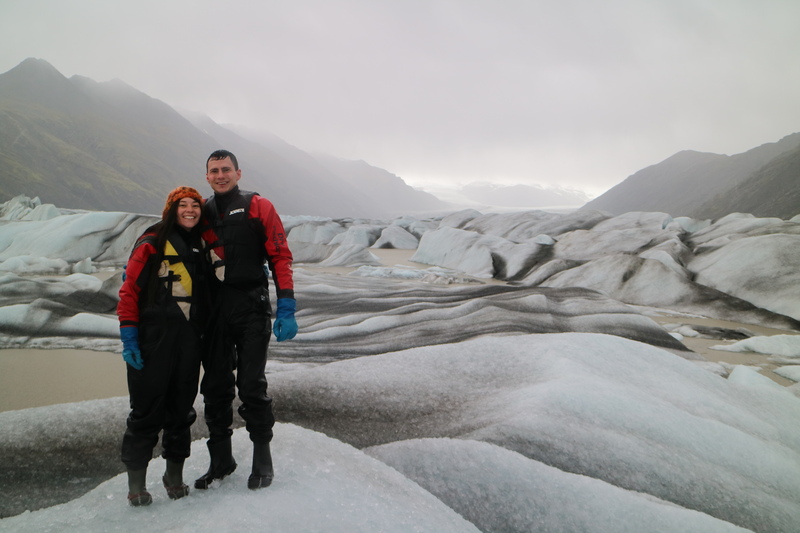 One of the only photos captured on our amazing kayaking trip through glaciers. It was raining like crazy so I only pulled out my camera a couple of times to capture a quick photo… we wish so badly that we had a go pro or rain poncho in this moment! A flexible tripod: This tripod saved the day several times because if it was just Daniel and I somewhere beautiful, we could just wrap the tripod legs around a pole, a ledge, the car itself…whatever it may be…and it would have an awesome steady grip! 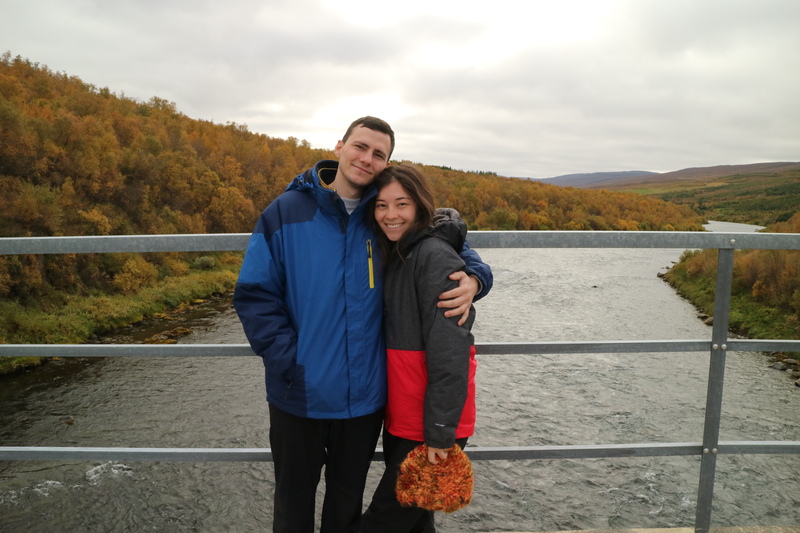 We got the best pictures just from self timer…goodbye awkward interactions and trusting a stranger to capture a beautiful moment (LOL). This is a railing that we wrapped the camera around to take photos! Self timer baby! 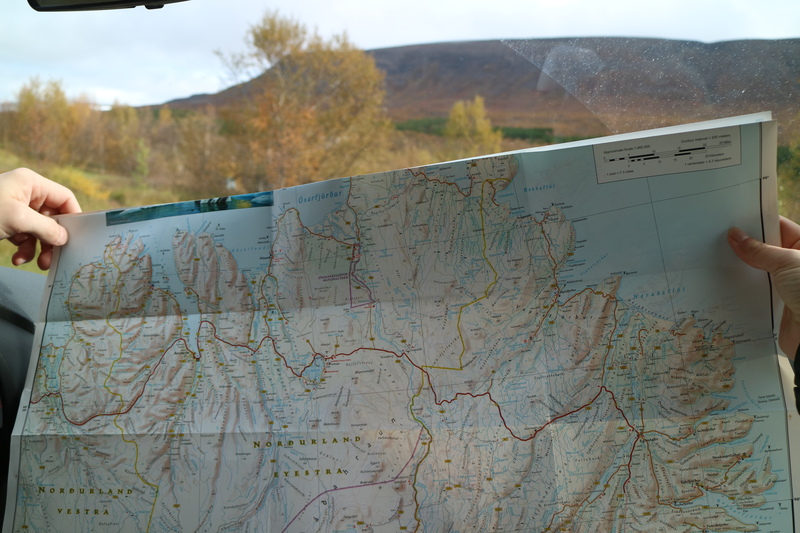 A road map of Iceland: At first I got a map of Iceland as a worst-case scenario life saver (always be prepared) but we ended up reaching for the road map before we’d reach for our phone GPS a lot of the time! When we lost reception (which happened from time to time for a few hours at a time) we always had the map to fall back on to find a close by campground, local attraction, rest stop, or highway! It really came in handy. A first aid kit: I brought TWO first aid kits just in case. I already had this day hiker first aid kit, and bought another one from the Boy Scouts a few days before the trip. They BOTH ended up coming in handy due to the fact that Daniel sliced his thumb open (and I mean sliced…I feel sick thinking about how deep it was) on a can on day 3. You just never know what is going to happen, a first aid kit is always a good thing to bring along no matter where you go! We heard that food in Iceland was pretty pricey so we opted to bring a lot of dry food rather than have to buy it when we got there. We made a trip to Costco and had more than enough. Here’s what we brought! Not a snack… but reusable water bottles! All of the tap water in Iceland is drinkable (unless otherwise indicated) and it’s FREEEEE so fill up when you can and drink up! 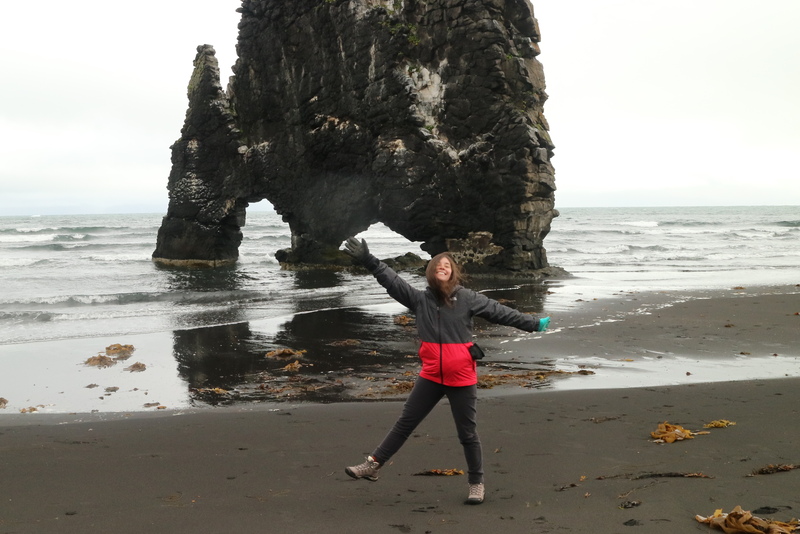 We were definitely very prepared for our trip around the Ring Road in Iceland and I hope this packing list helps you in your preparation as well! Click here to view the packing list sans descriptions for every item for you to check off as you pack your bag!